Official rehearsals for the Swiss Air Force aerobatic team, ‘Patrouille Suisse’, and the Irish Air Corps got off to a flying start this morning, ahead of Sunday’s Bray Air Display, Ireland’s biggest free air show. 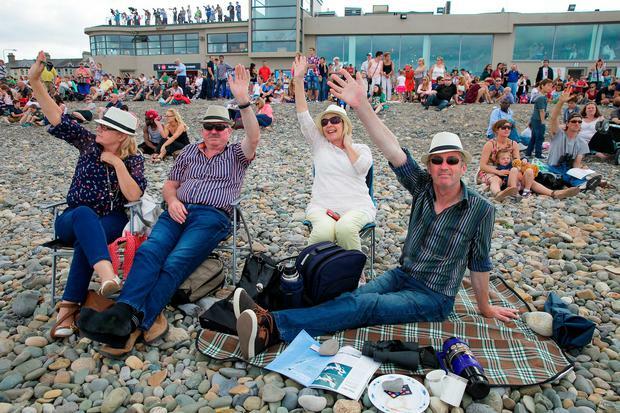 Part of Bray Summerfest, the air show is supported by the Irish Aviation Authority and organisers hope to attract thousands of visitors to the seafront town this Sunday. Kicking off rehearsals, the EC-135 Air Corps helicopter, performed a solo display, with the Casa CN 235 Maritime Patrol following closely behind in a joint formation. They were then followed by a practice flight by the Irish Air Corps fleet of PC-9s (the main pilot training aircraft for the Air Corps). A full rehearsal by the Swiss Air Force aerobatic display team, known as Patrouille Suisse, then got underway with their supersonic red and white Tiger aircraft reaching speeds of between 250 and 1,100 kilometres per hour. Flying for more than 50 years, Patrouille Suisse are making their eagerly-awaited Irish debut at Bray Air Display, performing manoeuvres such as “Gear Down Barrel Rolls”, the painted “Heart” and the “Tango”. 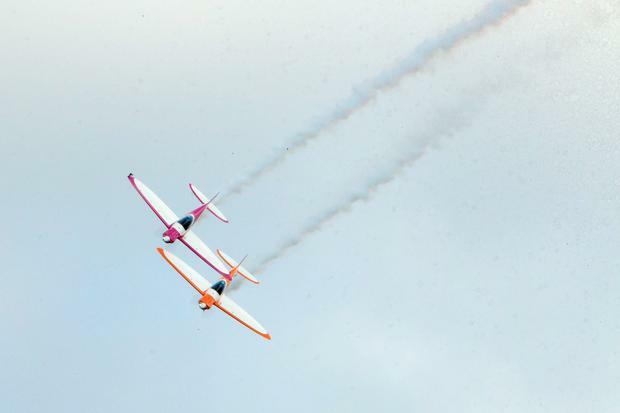 They are one of the few aerobatic teams in the world to fly in supersonic jet aircraft with active military pilots and will be based at the Casement Aerodrome in Baldonnel, during their Irish stay. Bray Summerfest Chairman, Mick Glynn, said that Bray was the perfect backdrop for an air show of this scale. He said: “Each year, the event gets bigger and better thanks to the hard work and dedication of some great people. There is something for everyone from the activities in the sky to all the fun of the fair on the ground. Bray really is the place to be this weekend”. 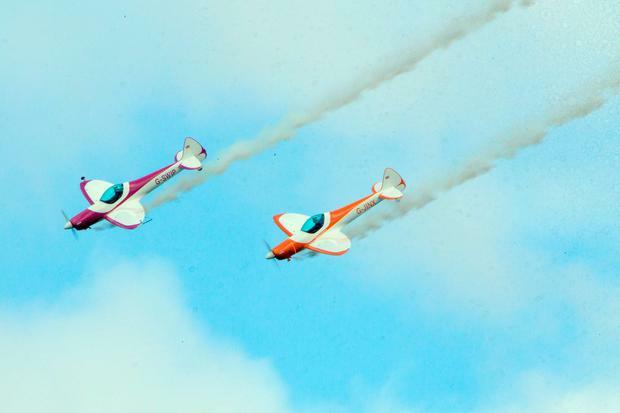 Jets from Aer Lingus, Ryanair and CityJet will also be taking to the skies above Bray that day and spectators are strongly advised to use Dublin Bus, DART and other public transport services, as traffic restrictions will be in place. All visitor information about the free Bray Air Display is available from www.brayairdisplay.com and www.braysummerfest.com and no tickets are required. The event hashtag on social media is #BrayAirDisplay. 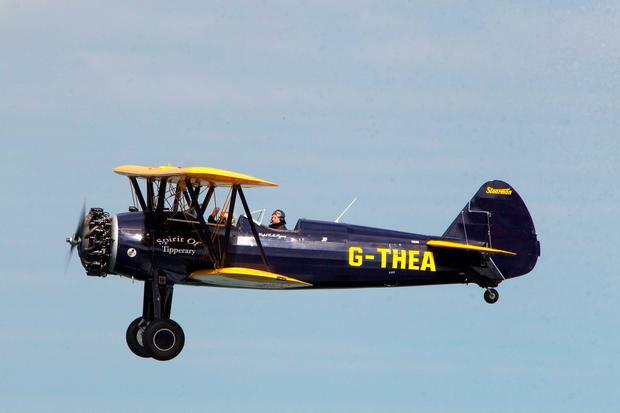 As part of an air show-themed weekend for the country, the Shannon Air Display is taking place on Saturday, July 18th in Shannon Airport with full details from www.shannonairdisplay.com.